Both the US Bill of Rights and Florida Declaration of Rights provide you with constitutional protections against illegal search and seizure. These provisions are central to criminal law, and may arise in almost any type of encounter with police. Still, though the language may seem simple and straightforward, the relevant concepts are extremely complex. Since the US Constitution was ratified in 1791, courts at all levels, including the US Supreme Court, have been scrutinizing search and seizure cases. There are hundreds of decisions throughout history, which is why the area is so complicated. You can trust a Florida criminal defense attorney to develop a strategy around illegal search and seizure, but a general understanding may be helpful. Expectation of Privacy is Key: The 4th Amendment to the US Constitution provides that a person has the right to be secure against unreasonable searches and seizures, and this shall not be violated. Florida’s version of the law mirrors this language and specifically states that it should be construed in conformity with the 4th Amendment. As courts have interpreted the protection against unlawful search and seizure over the years, it is clear that the concept is grounded in privacy. You have a reasonable expectation of privacy under certain circumstances, and police cannot violate this right. A reasonable person, in your situation and knowing the facts available to you at the time, would also have expected to have some degree of privacy. 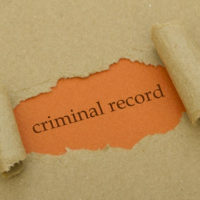 Addressing Illegally Obtained Evidence: Any items that police uncover during an unlawful search or seizure is inadmissible in court under the exclusionary rule. This evidence cannot be used to convict you on the charges and must be thrown out of court. In some cases, this violation of your rights could lead to a dismissal of the charges. For example, you were arrested on drug charges when police found marijuana in your pocket by conducting an illegal search. The prosecutor cannot present the evidence in court because of the exclusionary rule and, with no other proof, the charges must be dropped. If, however, the prosecutor does have other evidence, the case could go forward. He or she may not be able to present the marijuana in your pocket, but you were holding a joint – in open view. There was no search because the contraband was in plain sight, so you could face charges for drug possession under the circumstances. Even if it is clear that police violated your constitutional rights by conducting an unlawful search and seizure, the charges against you are not automatically dropped. You must request that the court dismiss the charges by motion, which is a complicated process for anyone without a legal background. If you have questions about your case, please contact Fort Lauderdale criminal defense attorney Kevin J. Kulik to schedule a consultation.